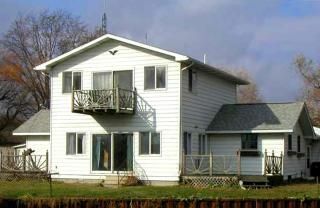 This beautiful 3 bedroom home offers a massive Main Suite overlooking the Saginaw Bay There is an open floor plan for ease of entertaining and patio areas to relax and enjoy what nature has to offer.Fishing out your door,Beach Casino Walking Boating and you can put your boat right by the dock no trailing needed, Bar and food with In walking distants Or use your home as a base camp and see all that the sunrise side can offer. Channel with boat Ramp and Dock. Great Trip , Great Location , Great House. Another year, another great trip !!! Fishing was fantastic, and again, this house and the location is perfect for a large group, there is plenty of parking for all the trucks and trailers. Lots of nearby restaurants if you do not feel like cooking and top notch bait/sporting goods shops are also in close proximity. The owners are super friendly and accommodating. This is our second you're staying here. Our group was very happy. Excellent place. Worked for guys and dog on a duck hunt. Great place to stay, owners ver accommodating and went out of there way. House is in good shape and had everything we needed for our four day stay. Owners went above and beyond to make sure we had a perfect stay. This was our second time at this property and we are already planning our third trip. Would recommend to anybody looking for convenient access to the lake and located in a great spot. It was so nice being able to leave our boats in the water and not have to trailer them all over the place. Our hosts were great. Very helpful.